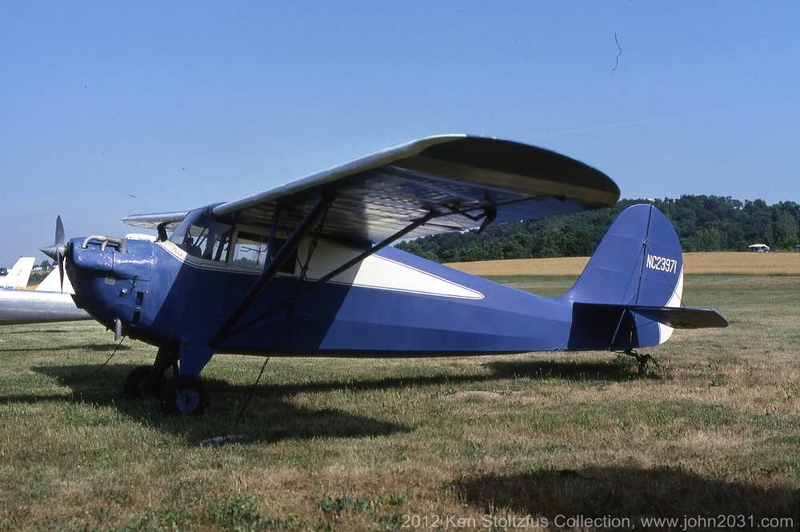 Aeronca KCA, 50-C, S-50-C, 65-C, S-65-C, (L-3F) 65-CA, S-65-CA Chief approved under TCDS A-675, all built with Continental engines. KCA, A-50 Continental; eligible serial numbers KCA-1 and up; #1150 gross weight. The KCA was the first "Chief." 50-C, same as KCA except for wider cabin and modified engine cowling. 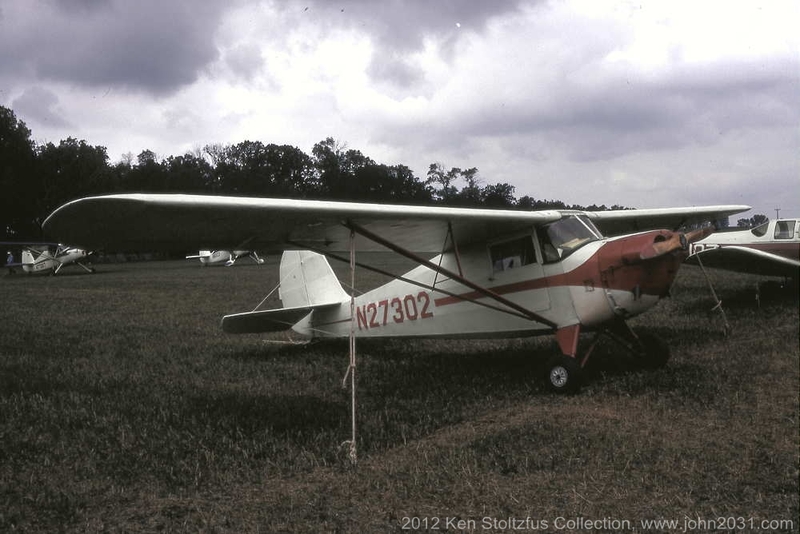 Has A-50 Continental; eligible serial numbers C-1018 and up, #1150. S-50C, same as 50-C except for float provisions and #1253 gross. 65-C, same as 50-C except for A-65 Continental, C-1018 and up, #1150. S-65-C same as 65-C except for float provisions, #1253 gross. 65-CA (L-3F), same as 50-C except for minor structural changes, equipment changes, and the A-65 engine installation. Eligible serial numbers C-10010 and up, #1250 gross. 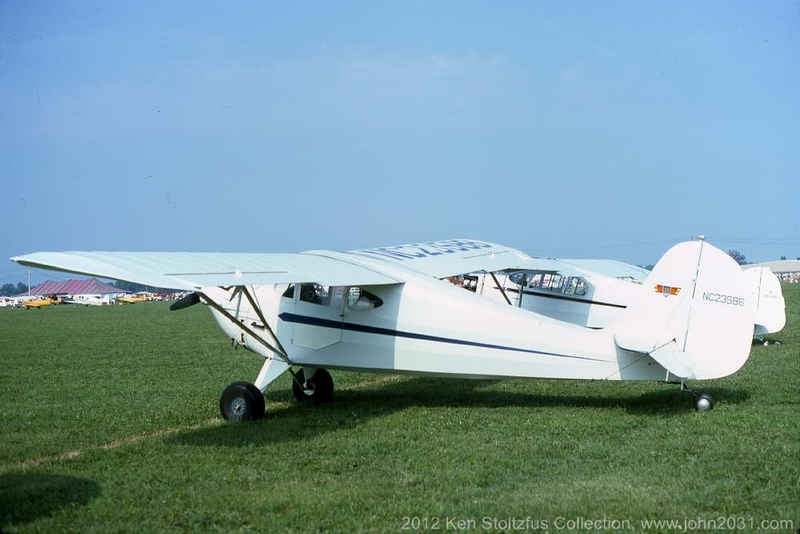 S-65-CA, same as 65-CA except for float provisions and #1320 gross. 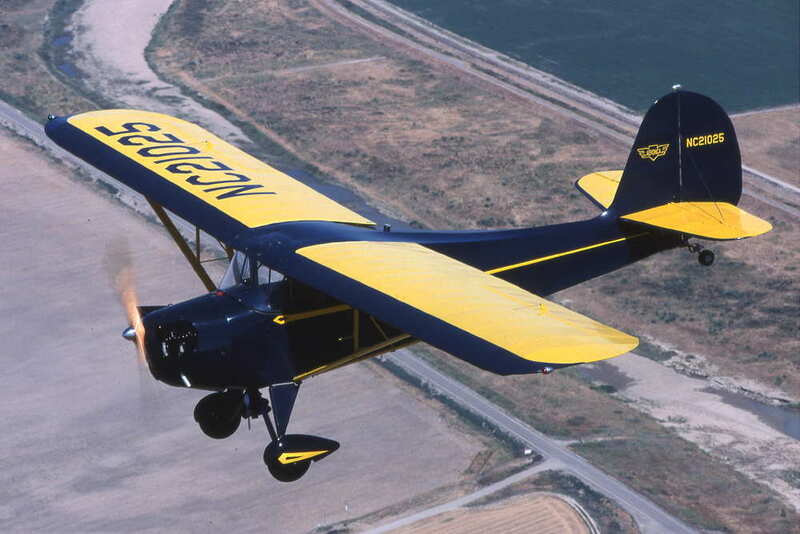 Aeronca 50-L, 50-LA, 65-LA, (L-3G) 65-LB Chief approved under TCDS A-702, all built with O-145 series Lycoming. Eligible serial numbers are L-1018 and up for all. 50-LA same as 50-L, except engine cowling. 50-LA has tunnel type cowl. Eligible serial numbers L-1018 and up, #1150 gross. 65-LA same as Model 50-L, except engine installation, 65-hp in place of 55, #1150. 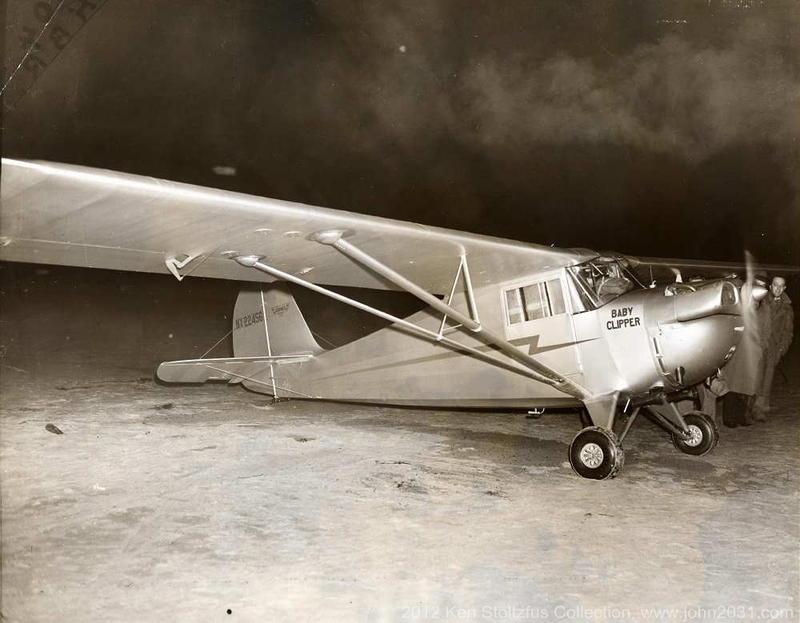 65-LB (Army L-3G), same as 50-L except minor structural changes, equipment changes and 65-hp in place of 55, #1250 gross. Contrary to my normal practice I am posting these by registration rather than by serial number. 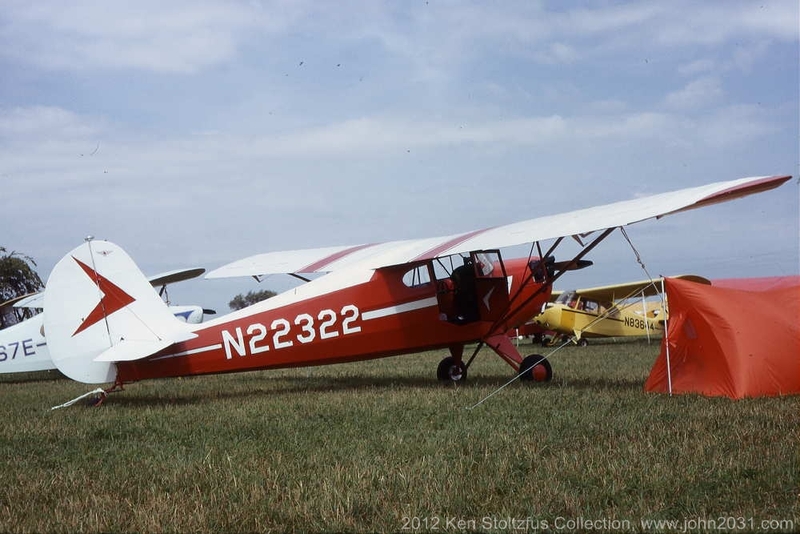 All of the slides here are for sale, along with thousands more on aircraft of all kinds. Please inquire. Note the tape around the landing gear to fuselage area and elsewhere for drag reduction. Smith had three suction venturis on the aircraft, for his gyros which appear to be mounted up on top of the instrument panel..
Associated Press release. Info at the very top, right corner indicates that this was in the “Daily” paper. NX22456 has a tail skid and no brakes. 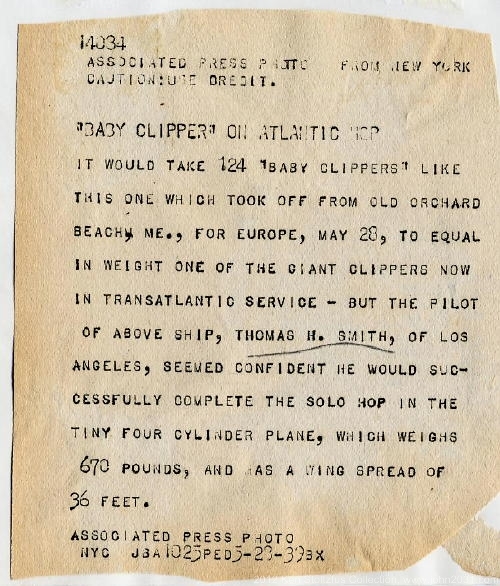 Info at http://www.geo-met.com/tommysmith/ says that “He was on what he referred to as a ‘research flight’ to prove that small, well-equipped aircraft like his could make the ocean crossing.” They say that Smith had 160-gallons of fuel instead of the normal 12-gallons. 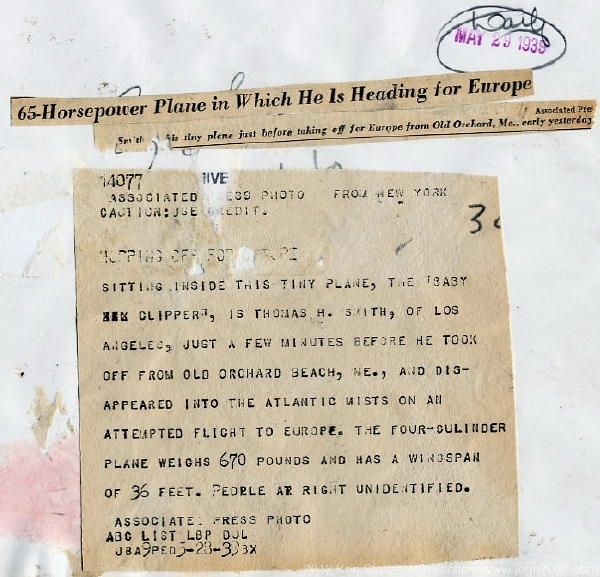 His takeoff weight was #1965 as compared to the normal #1150, making him 70% over gross. That would have been an interesting departure to watch! I’ve often flown “heavy” in spray operations, but never close to that! Interesting comments from the Press of the day! 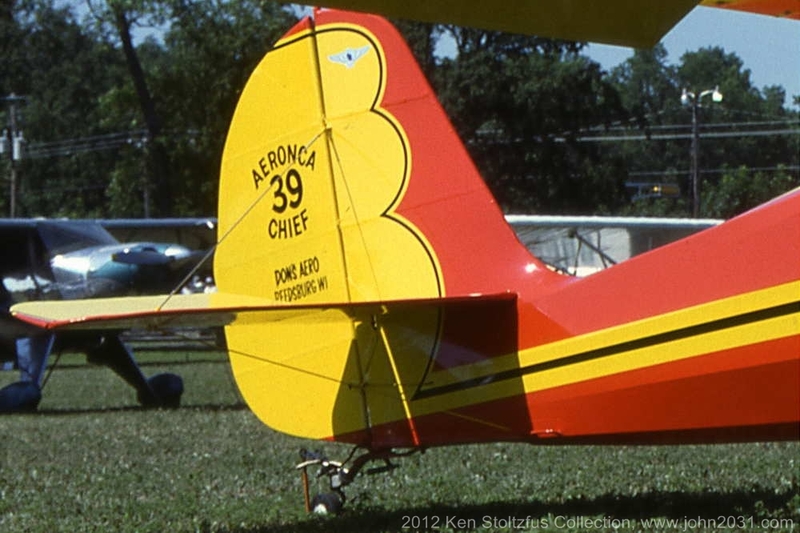 I saw N23971, this beautifully restored 65-C Chief, C-6289, at both the Mount Vernon and Troy, OH 2007 Waco fly-in events. The Hogan men may have operated a lot of Twin Beechs and DC-3's over the years but this bird is flown by the sisters! It is very original and still has the "up exhaust" A-65 Continental with that aesthetic cowling. You get a lot of light into the 65-C cockpit, and how do you like that woodwork there? This is the best overall shot I could get of Aeronca 65-C Chief N23999 as it sat in the corner of a hangar that was not well lite. It is such a treasure that I made an attempt to shoot it anyway. It is C-6719 and is in nicely restored condition. The cowling is very different from N23971 and I suspect it is of a later variety. Here is the aft section with just a tad of trim on the rudder. Here's the panel and the carpeted area above it, behind the fuel tank. Note the control sticks in place of wheels, the mechanism below the panel (heel brakes on the pilot's side); the aileron cables running overhead; and the panel from the left side with a big tach and oil temp/pressure. Nice! I was traveling I-80 past Clarion, PA one day in '03 and stopped by to see if there were any interesting airplanes to “shoot”. 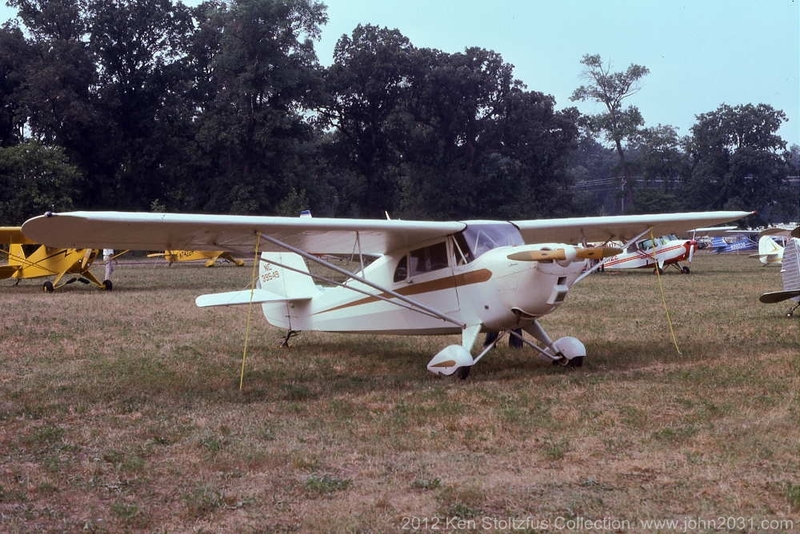 This old Aeronca qualified! 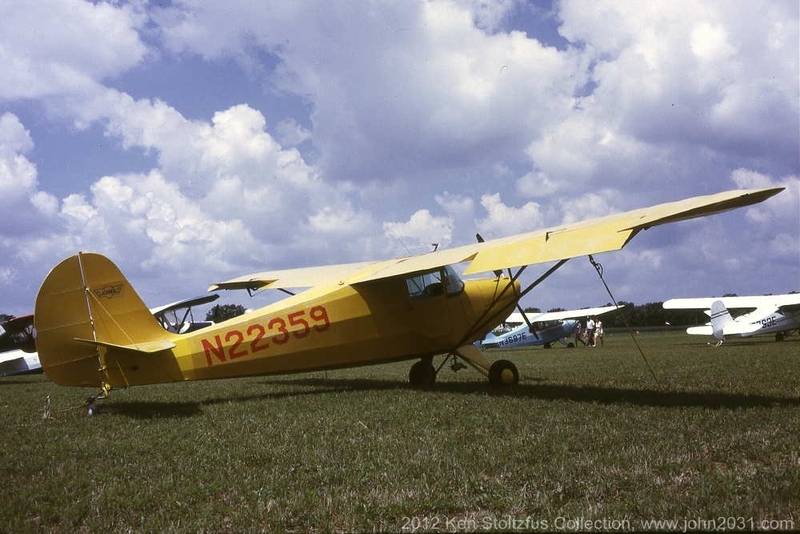 N24286 is a 1940, Aeronca 65-LA Chief, with a 65-HP, O-145-B Lycoming. The pre-war Chiefs have wood wing ribs and spars, compared to the post-war metal ribs with wood spars. This old gem still has the cable operated, mechanical brakes. It has a skylight, too, which the later Chiefs don’t have. The familial resemblance is obvious, but the 65-LA is somewhat different from the post-war 11AC and later Chief’s. Note the “tunnel cowling”, as it is referred to in FAA TCDS A-702. It appears that air moves over the engine, through a “tunnel” and out the sides of the cowl. Interesting! N24286 was sold after this and the new owner had some photos on his blog. He did some work on it including straightening the cowl, and has since sold it. 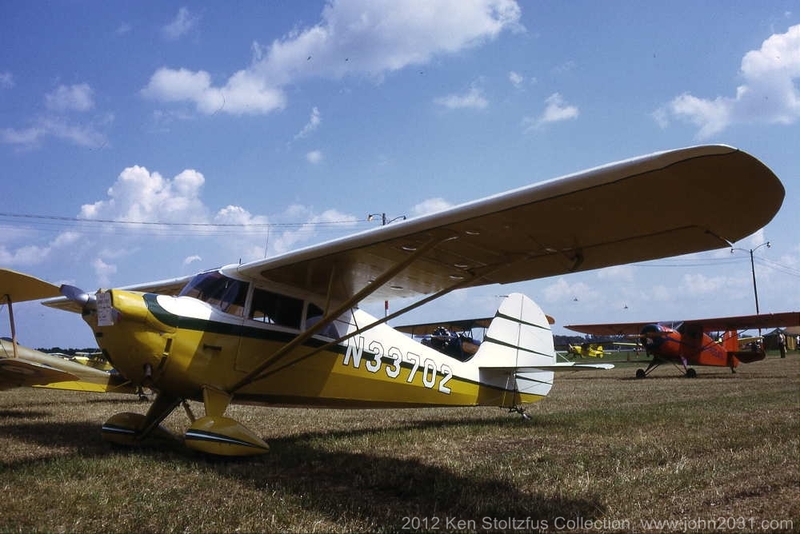 I'm biased toward floatplanes, and saw Aeronca 65-CA Chief N33717, C-13021 at Oshkosh 2005. I saw it being towed to a parking area on the lake, and then later it was at the dock. (click on photo) Note the little seaplane fin on the stabilizer! The pilot gets a little help as he gets ready to "prop" it. 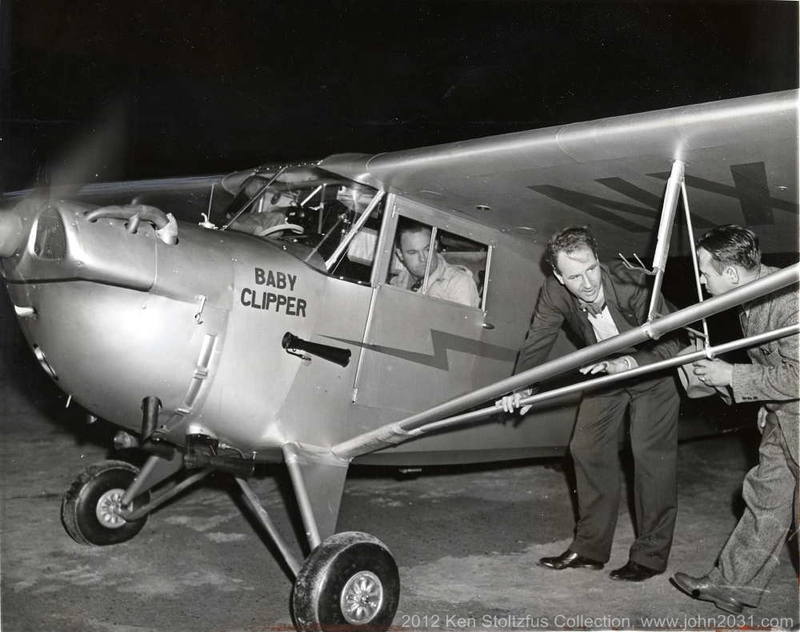 An old airplane and a brand new pilot! The owner lives near the Gordonsville, VA airport, (GVE) and decided that it is time to learn to fly. 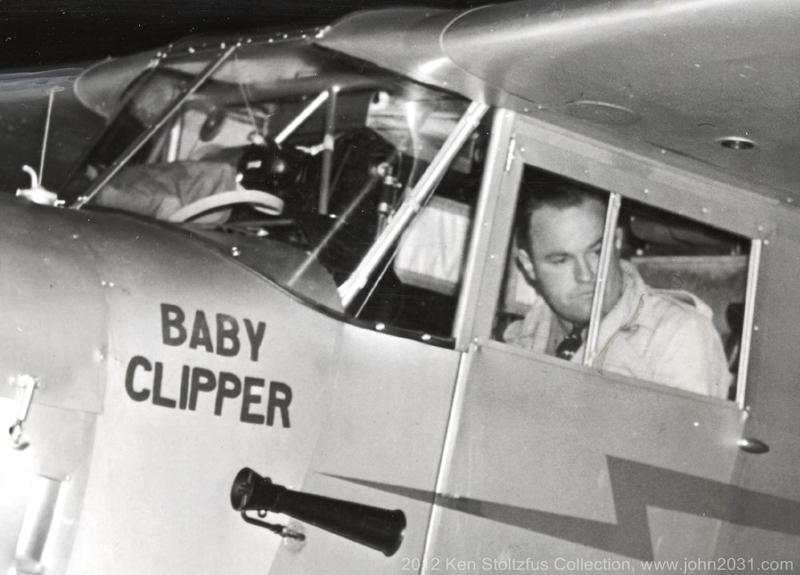 And why not start in an old taildragger!? 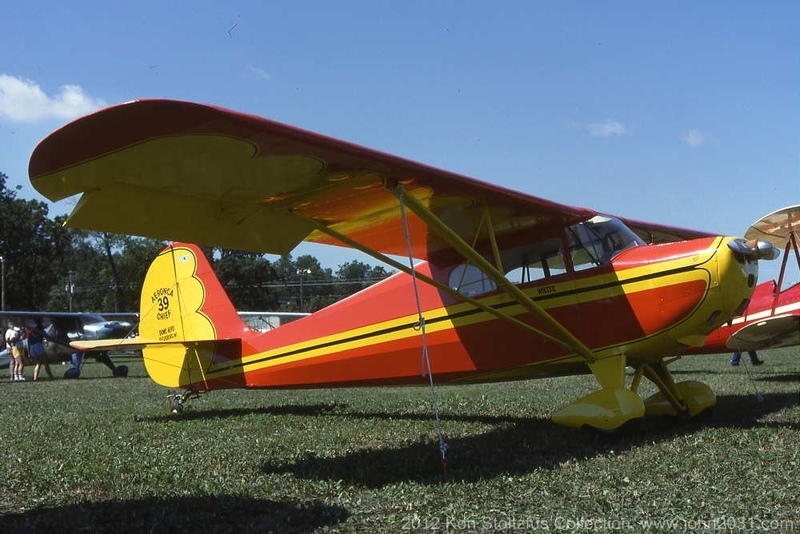 This Lycoming O-145-B powered, 1941 Aeronca 65-LB Chief, N33756, LB-13401, fit the bill just right! Elaine and I spent a couple of days there in Nov. 2012 and his enthusiasm was refreshing. The vertical fin looks more like a later Chief. 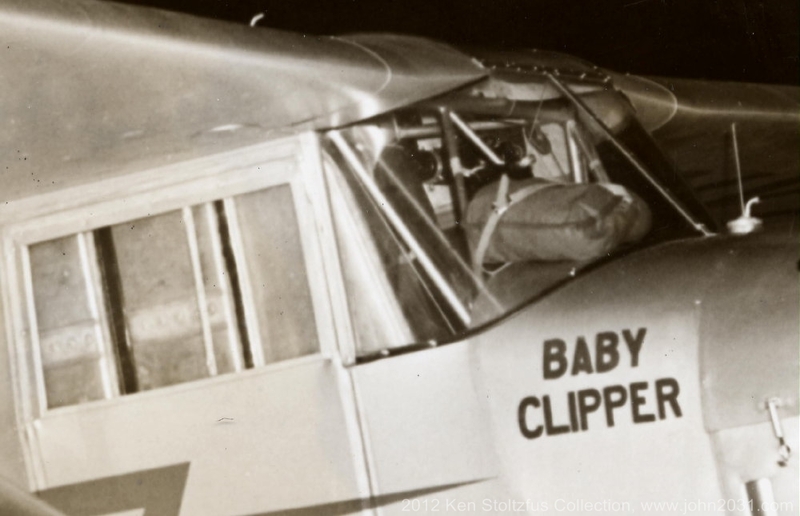 Here's the distinctive engine cowling, and an instrument panel that is fuller than some of the early Chiefs. It has the 8-Gal. aux fuel tank in addition to the 12-gallon tank ahead of the instrument panel. Here's another view of that "sunburst" type paint job. See those ropes there along the side? The owner was making a system to secure the Chief when propping it, with a lighter rope that ran up to the cockpit where he could release it after he had climbed in. The first design didn't release as intended and someone had to come take it off for him. Oh well, back to the drawing board! And finally, an evening shot. 1944 (??) 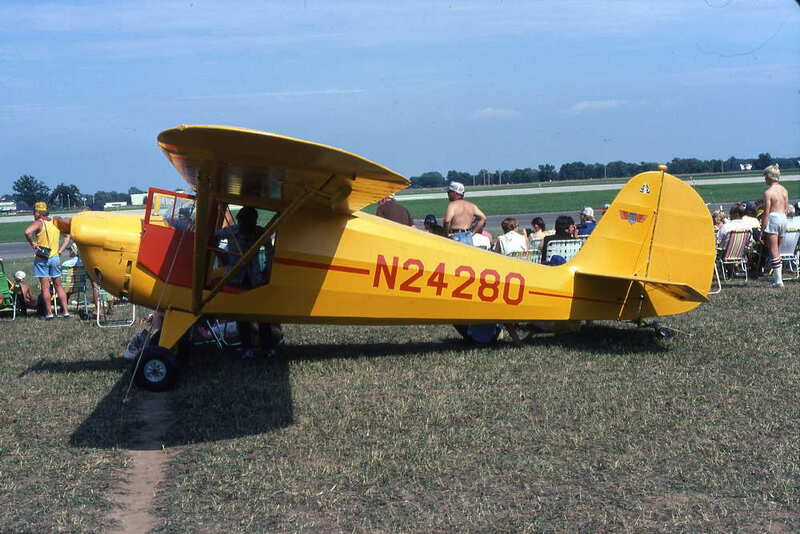 Aeronca 65-CA Chief N39549, C-18574 was seen at EAA Oshkosh 1975.